These are actually very similar to reviews for new films; theatre performances; music and book reviews. In essence scholarly book reviews can be just as scathing and just as subjective. As a student you may be asked to undertake an analysis of a book review with the view of applying the information to your course. You may also be asked to undertake a book review as part of background research for a piece of research. Peer reviews are not always objective, they can sometimes be unreasonable and unbalanced. A scholarly review is and evaluation of specific issues bound by theory and not a precis of the book. A Literature Review is not the same as a Scholarly Book Review. A literature review is a set of observations that acknowledge the current status of a particular topic. Scholarly Book Reviews are about the book's treatment of the Topic not about the Topic. When using Scholarly Book Reviews, you need to be a detective and look for clues. Where do you find the clues that may answer some of the questions? The reason the book was written. What is the specific topic of the book? Who is the book aimed at? For what readership? Does the review highlight any particular theory or theories? Does the work follow a logical and chronological progression? Does the author show any bias in their views? What concerns are raised by the review? the content and topic of your course? the concepts and issues highlighted in your course or discipline? does it help you understand your course? 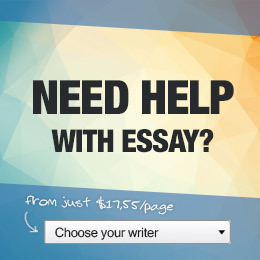 What does the author use to support their thesis? Are they using documents, if so what type? Are they using literary analysis? Personal observation? Quantitative or qualitative data? Biographical or historical? In your review, support your own arguments by citing quotes or by making a summary of passages that may illustrate the authors style of presentation.